Last week, I concentrated on relaying the story of how the Rothschild family got into “the big leagues” financially by funding both sides in the Battle of Waterloo and gaining personally from the information they were privy to more than twenty-four hours before anyone else. This week we’ll explore how usury ended up in the United States in the 1800s and next week, how it became the basis for the Federal Reserve. It’s a story of intrigue, deception, ruthlessness, and greed. When the American colonies were originally settled, beginning in the early 1600s, they were founded under mercantilism. The mercantile system of the British Empire stipulated that commerce and growth within these early settlements was for the enrichment of Britain. Trade by the colonies with other empires was forbidden, taxation would originate from the motherland, and money would be created in Britain and “loaned” to the colonies with interest. The Royal Navy, which dominated the seas, was easily able to both protect its merchants and police international trade. 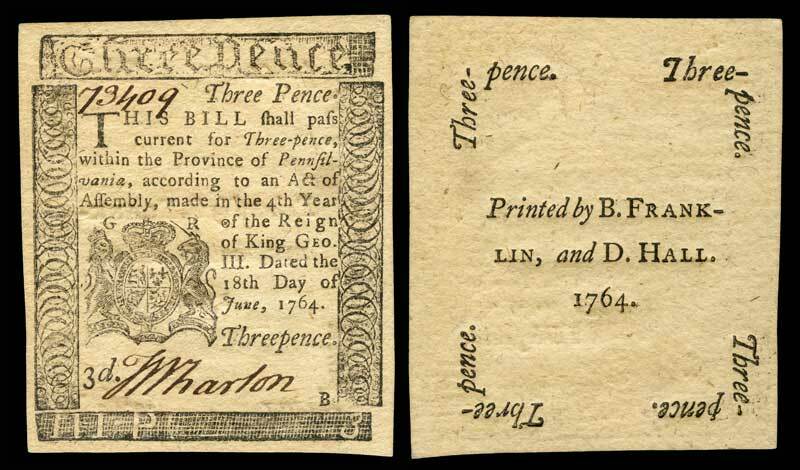 In 1691, Massachusetts began to create its own money, called Colonial Scrip. It resulted in controlled growth, an inflation-free environment, and no taxes. Other colonies followed with slightly different models and less success at keeping inflation at bay. It was not until three years later that the Bank of England was founded, in 1694. It was founded on the principle of fractional reserve banking and compounding interest—the model for the banking system we have worldwide today. “In the colonies, we issue our own money. It is called Colonial Scrip. We issue it in proportion to the demands of trade and industry to make the products pass easily from the producers to the consumers. In this manner, creating for ourselves our own money, we control its purchasing power, and we have no interest to pay anyone.” Benjamin Franklin, A History of Central Banking, Stephen Milford Goodson. That was a mistake—for Ben to be so open about their monetary successes. Franklin’s way of creating money for the colonies was viciously opposed by English bankers. After all, the entrenched method in Britain was to borrow money from bankers at interest. 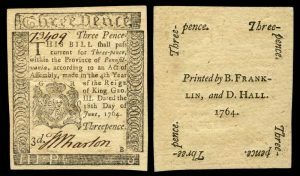 A year later, King George III issued a bill that severely restricted the right of the colonies to issue their own currency. It didn’t take long for the economy of the colonies to collapse and within a year, half the population were unemployed and destitute. They had been forced to pay taxes to England in silver or gold, and since they had no mines, they went into debt to do so. This was a deflationary environment and it was the primary cause of the American Revolution which, of course, led to a complete break from England in 1776. The colonials now found themselves at war with no money with which to pay for it. 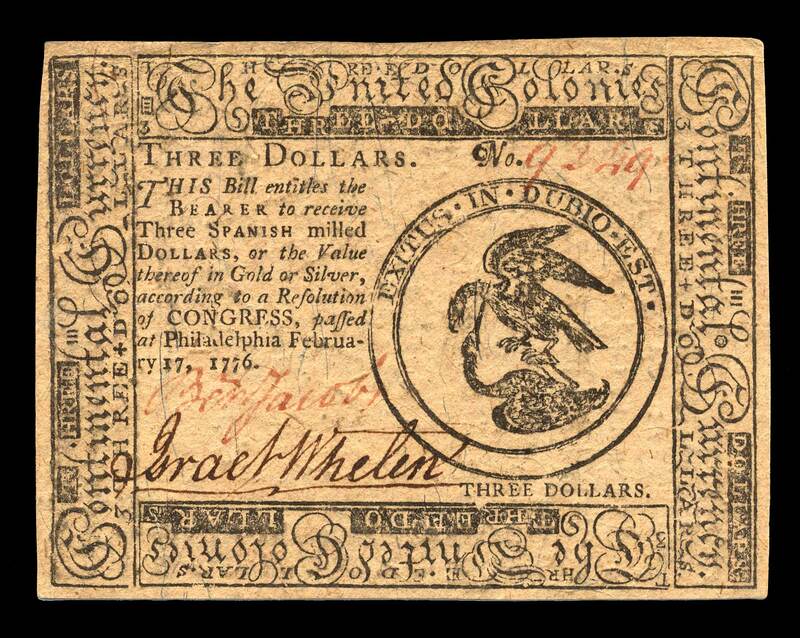 A Continental Congress met and decided to issue $200 million in Continental Currency (or scrip). It certainly spurred the economy, but flooding the marketplace with currency only works for a while; it ultimately leads to inflation, which severely lowers the value of the money in circulation. “Without taxing the people” is a misnomer, because inflation is a tax. Your money reduces in value so, in fact, prices of assets, products, and services rise, GDP rises, but your salary doesn’t increase, and the cost of living goes up. Eventually, to retain your lifestyle, you end up in debt. The English had a habit of using counterfeiting as a weapon to attack their enemies. They did the same thing to France during the French Revolutionary Wars (1792-97) with the assignat, which was the currency of the French Revolution. They flooded the country with counterfeit paper fiat money. This was a key reason for Napoleon taking complete control of the banking system when he came to power. Even before the colonies had drafted a constitution, they had their first bank (The Bank of North America, founded in 1781, during the war), modelled after the Bank of England. That meant it was based on fractional reserve banking with fiat money. 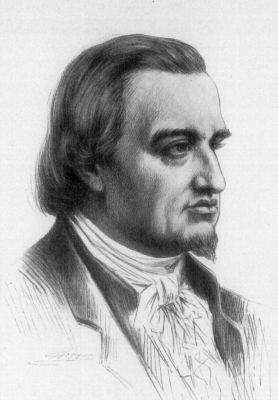 The private bank was riddled with fraud and, because of this, its charter was allowed to expire after two years, in 1783. 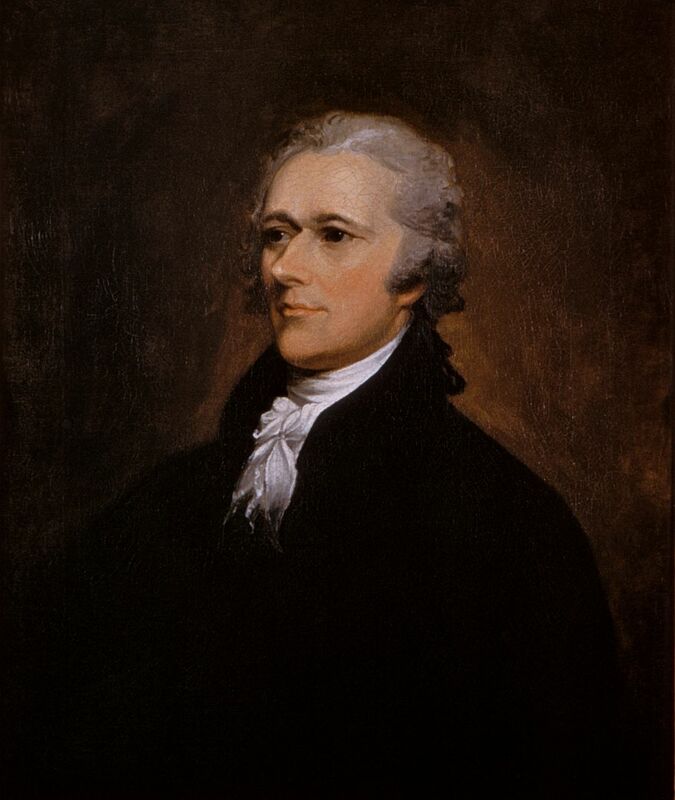 The next bank idea came from Secretary of the Treasury, Alexander Hamilton. His plan was to found a private bank that would create money and lend most of it to the government. It would keep the ability to create money out of the hands of politicians. 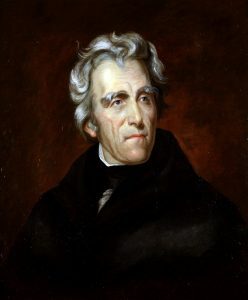 Thomas Jefferson vehemently opposed the plan and fought to the point that the rift ended up creating the two political parties in existence today. Hamilton won the argument and in 1791, the First Bank of the United States was established with a twenty year mandate. The argument of private bankers for keeping money creation away from governments is that they will cause hyperinflation. However, that’s been disproven over and over again. The First Bank of the United States didn’t turn out much better than the Bank of North America. The Rothschild family ended up being the major investor which gave then power both financially and politically. The bank’s main purpose was to lend money to the government at interest and within the first five years, it had helped inflate the economy by 42%. In 1811, the bank’s charter came up for renewal. Former president Thomas Jefferson violently opposed renewal. It was a hard-fought battle that went on for days in Congress. It was close: Renewal was defeated by one vote in the House, and one vote in the Senate. The Second Bank of the United States was set up in 1816 and it was 80% privately owned. In 1822, President James Monroe appointed Nicholas Biddle president of the bank. 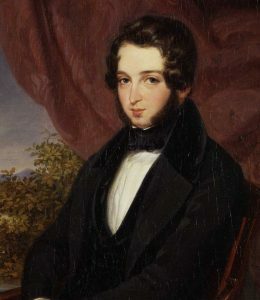 Biddle was the point man to James de Rothschild, who was the bank’s principal investor. 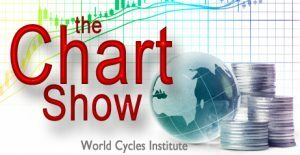 America was about to be introduced to her first boom-bust cycle. In 1837, the Second Bank of the United States was no more. Jackson had beaten the bank. He had also survived an assassination attempt. Luckily, both the assassin’s shots missed him. He was one of few to tangle with the banking cabal and live to tell about it. America was in the middle of a boom, due to the fact that the Bank had increased the money supply through loans by 84% through fractional reserve banking (in other words, debt). But when the Bank disappeared, the money disappeared, because that money wasn’t backed by anything. It was called the Panic of 1837; deflation roared in, as it always does in these situations. Men were put out of work, homes and savings were lost. Many other banks also went bankrupt, with their owners walking away with what was left. The depositor were left holding the empty bag, as usual. Thirty-two Massachusetts banks collapsed between 1837 and 1844. For the next 77 years, the economy got along without a central bank. The American Civil War was a clash between the economic interests of the North and South. The issue of slavery was raised as a way to get people to fight, but was secondary to the main issue of the economy. In 1861, the expenses of the federal government were $67 million. After the first year of combat, they were $475 million. Taxes would only cover about 11% and government war bonds would cover about half the needed amount. 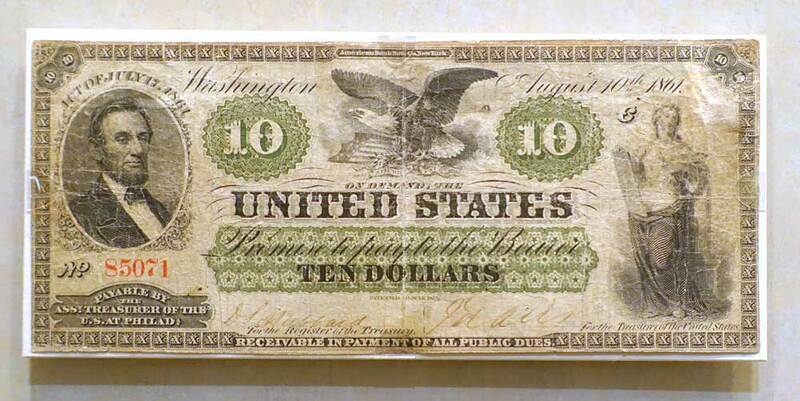 In 1862, Congress authorized the Treasury to print $150 million worth of bills of credit and put them into circulation as money to pay government expenses. 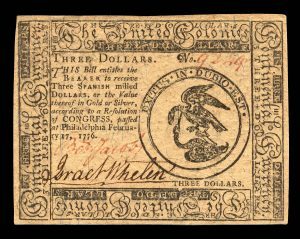 They were printed with green ink and became known as “greenbacks.” By the end of the war, $432 million in greenbacks had been printed. On February, 25, 1963, Congress passed the National Bank Act, which established a new system of nationally-chartered banks. This was a whole new system that was to set the country on a course to perpetual debt. The system was based on the government issuing bonds. The national bank would pay for these bonds, but they didn’t keep the bonds; they gave them back to the Treasury. The Treasury then exchanged the bonds for an equal amount of US Bank Notes with the bank’s name on them. So the banks still owned the bonds and received interest on them, but also had the money from the government that they could then lend out at interest. The banks were required to keep about 12% on hand as reserves to prevent a bank run (which of course, would happen anyway, if everyone wanted their money at the same time). This then, was just a slight variation on the exact same system we have today: fractional reserve banking. While all this went on, in the background lurked the Rothschilds and other central-banker-types. They would await their opportunity, which would come around again in 1913. They were obviously upset not to have a piece of the American money pie. Two weeks after his made that statement, President Garfield was gunned down by Charles J. Guiteau, who apparently was ticked off at not having received a diplomatic posting. It should be relatively clear now that this cabal of central bankers will stop at nothing to gain control of the economy of countries around the world through usury. Under the auspices of creating financial stability worldwide they contract with governments to supply the money for their citizens, money they create out of thin air, and charge compounding interest for that privilege. In fact, if pressed, any central banker would have to admit that they have no real need to get paid back the principle of the loan, but rather that they are happy to have the principle sit idle, as long as they are paid the interest, which is their income. Since the principle equals the amount of debt created at the time of the loan, it is really just an accounting entry (the asset equals the liability). When the principle is paid back, both the “money” and the debt disappear from the double entry accounting sheet at the same time. The money disappears as quickly as it was created. But since the debt side of the equation is recorded on the books as an asset, the bank loses the “value” on the asset side of the equation if the debt is repaid. This is without a doubt accounting “trickery.” It’s simply fraud. But what’s worse is that by creating loans, which create the flow of money into the economy, they create inflation. Creating loans is their job and they’re paid handsomely through interest to do that job. However, inflation is the obvious by-product. Banks are incentivized to create as many loans as they can, each one increasing their income (through the interest paid to them) with no cost (other than the labour to keep the books) and no downside … until the economy starts to suffer, the loans start to default, banks start to restrict credit, which in turn reduces the money in the economy. A contributing factor is that when inflation reaches a certain level, the money of a society has been debased to such an extent that it substantially raises the cost of living, major purchases become unaffordable, and the economy starts to contract. We move into deflation, banks pull loans, and people lose their assets and their livelihoods. Banks get baled out and the taxpayers foot the bill. What a system we’ve created! 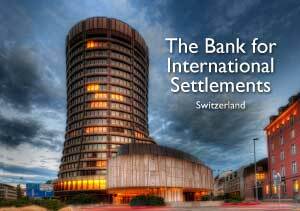 In Canada, we’re suing our government to get back our public central bank, the Bank of Canada, which has a contract with the Bank of International Settlements (yes, the same cabal of banksters) to create our money for us (from nothing) and charge us interest for it. We used to do that for ourselves. The story is a similar one all over the world. Today we’ve created the largest inflationary bubble in history. The downside, of course, will be a deflationary spiral so devastating to be virtually unimaginable by the almost anyone on Earth. It’s a man-made cycle that repeats over and over again with some amount of regularity. 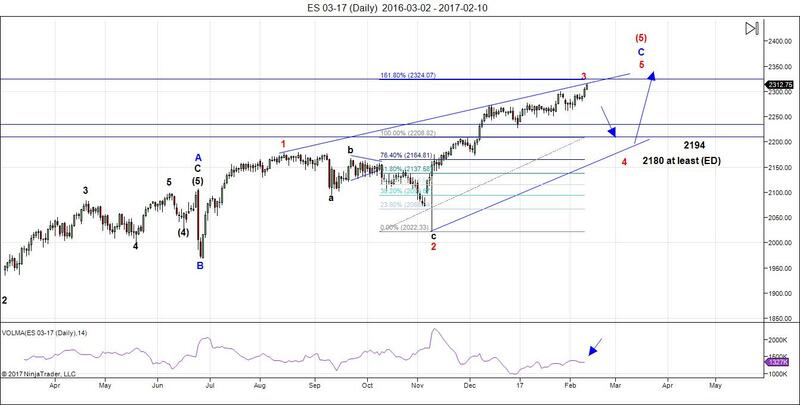 Above is the daily chart of ES. The full wave up looks to be like a triple three (a combination wave) which is at completion. There was a very obvious, large ending diagonal in ES. Note also that the volume is extremely low, which is bearish. What is obvious at the end of the week is that in ES (not in any other indices that I see, although I could have missed a sub index), the third wave up at 2365 is exactly 1.618 X the length of the first wave, which is the typical length relationship between those two waves. the market is starting to get a little sicker as we move forward. 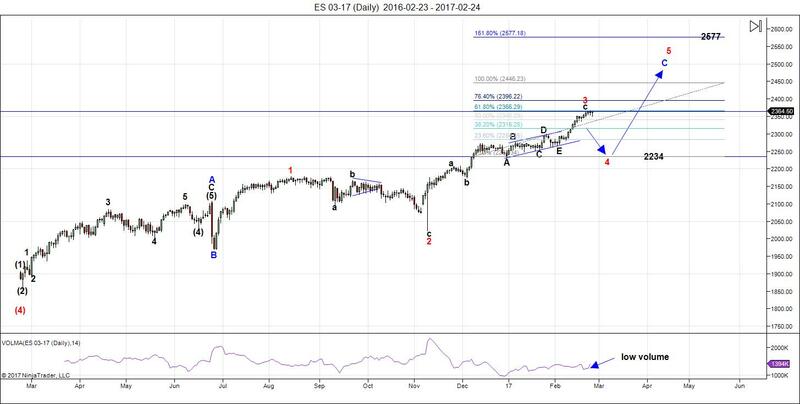 ES reaching that milestone also gives me confidence that my wave count is correct. Currency pairs are, for the most part in sync to where they should be in relationship to a pending final blow-ff sequence. The 4th wave will come down in three waves. After we finish the A and B waves, we should be able to project an end to the C wave of the 4th wave. Once we finish the fourth wave , we’ll get a final blow-off wave. Summary: We’re at the top of wave 3 of the final 5 wave pattern, ready to turn down into four with one more very small wave up to a new high. I expect all major US indices to turn this week. The larger wave (4) should come down in 3 waves. Do not miss reading the “link” posted above by Amit Kumar that will carry you to safehaven.com. That EW count aligns perhaps to what Peter is seeing. Safehaven publish all kind authors. Based on what I saw of Gudgeon’s chart, he actually has us in a fourth wave, and about to complete a Z leg down of some kind of double combination. I don’t know about his past mis-steps but to be very honest, that count makes perfect sense with what SVXY has been doing and his is the only one that has us in the middle of a fourth wave already. SVXY made a top some time ago which would be what one would expect at the top of wave three and looks to be about to complete a big three wave correction down that would correspond perfectly with the XYZ of this fourth wave. I am not sure why he thinks this Z leg down would last all the way into August as it would be way out of proportion to the X and Y legs. Fed rate rise on 3/15 will be headwinds for market next two weeks. I will have a new post tonight, but it’s likely to be 2-3 hours more of work. The research, due to the accuracy I strive for, takes a long time.